Hosni Mubarak in February of this year. THE FORMER PRESIDENT of Egypt, Hosni Mubarak, has suffered a stroke and is in a coma, according to his lawyer. However a top medical official with knowledge of his condition denied the report and said Mubarak was stable. Mubarak, 83, has been in a hospital in the Red Sea resort of Sharm el-Sheikh since April under arrest on charges he ordered the killings of protesters during Egypt’s uprising. He is said to be suffering from heart trouble. “The president had a sudden stroke,” said the lawyer Farid el-Deeb. “Doctors are trying to bring him to consciousness. He is in a total coma,” he told The Associated Press. However, a senior medical official in the hospital where Mubarak is held said his condition had not worsened. The doctor spoke on condition of anonymity because of the sensitivity of the subject. Mubarak is set to face trial in August on charges he ordered the killings of protesters during the 18-day uprising that ousted him on Feb. 11. A conviction could carry the death penalty and activists suspect his lawyer may be using health problems as a ruse to sway public opinion and perhaps even win amnesty. Protesters have camped for more than a week in Cairo’s Tahrir Square, demanding a public trial for Mubarak and other regime officials accused of complicity in killing protesters. El-Deeb has made other claims recently about Mubarak’s deteriorating health that were also denied by senior medical officials. Mubarak’s purported health issues have complicated efforts to bring him to trial. He was hospitalised on the day prosecutors trying to build a case against him sought to question the former leader for the first time. Prosecutors have questioned him in the hospital, but an order to transfer him to a Cairo prison during the investigation was overturned on the grounds that the prison health facilities were inadequate to treat him. A report by a government-appointed panel of physicians determined in May that Mubarak is too ill to be held in prison while awaiting trial. 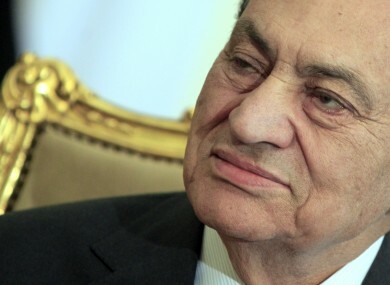 That report said Mubarak was suffering from heart troubles and confirmed he had “tumors” in his pancreas removed. But it did not specify whether the tumors were malignant. It also said that Mubarak can’t leave his bed without assistance. Reports about Mubarak’s health are a highly politicised issue because his trial is unprecedented in the history of modern Egypt. At least 846 protesters were killed during the revolt. Email “Ex-Egyptian president said to be stable despite coma reports”. Feedback on “Ex-Egyptian president said to be stable despite coma reports”.